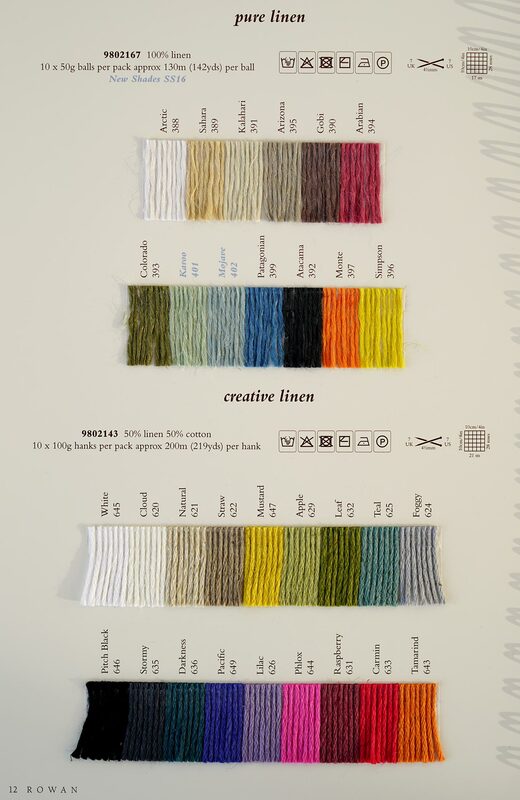 Yarn Type Made with 100% natural linen, Rowan’s Pure Linen has a soft sheen and a relaxed drape. This yarn is ideal for light weight and elegant summer knits, that are easy and cooling to wear. Hand Wash warm. 12 modern summer designs for women by Lisa Richardson using Rowan Pure Linen. The Pure Linen Collection includes relaxed fit sweaters with lace knit details and fashionable layering pieces to finish any summer outfit. Including Lisas trademark of interesting fastenings, unusual but delicate finishing techniques which combines with the linens natural drape.